Entry Fee (Onsite if available) - $12.00 for all. - Live Food Counters Many more added this year. 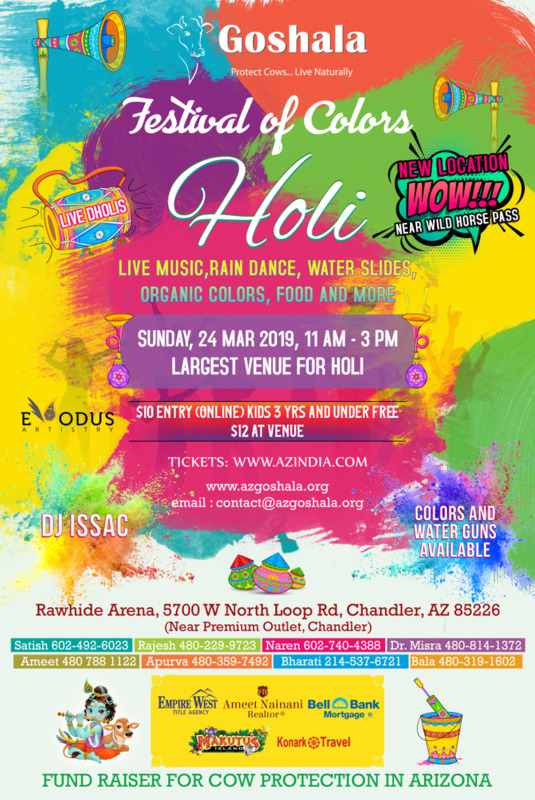 (Food to buy) Pani Puri,Dosa,Cup cakes,lot of food..
- Tap your feet with DHOL by AZ's best, 3 DHOLI's. - Free Water Slides - HUGE. - FREE Parking Lots, huge. Participants traditionally apply bright, vibrant colorpaste/powder at friends and strangers alike as they celebrate the arrival ofspring,and allow each other a momentary freedom -- a chance to drop their inhibitions and simply play and dance in COLORS & RAIN.